If you’ve ever used Smart Launcher, then you’d know that it was one of the most simple and lightweight custom launchers available on Android. It has existed on the platform for more than half a decade, but it has today received a major redesign that truly makes it more modern. It now looks a whole lot different and notable features have got a facelift, in addition to new additions. In this latest version of the app, the developers focused on making it easier for users to reach all UI elements. This means the app now shows essential items you regularly interact with at the bottom of the screen and uses the top area for displaying information through visual content and widgets. You now have a completely new Acrylic Design visual language to provide you with a more uplifting and consistent experience. The UI now has a more Samsung-like look to it, where your launcher will match its color scheme with the wallpaper. It also gets support for adaptive icons, which are backward compatible with devices running Android 4.0 or higher. 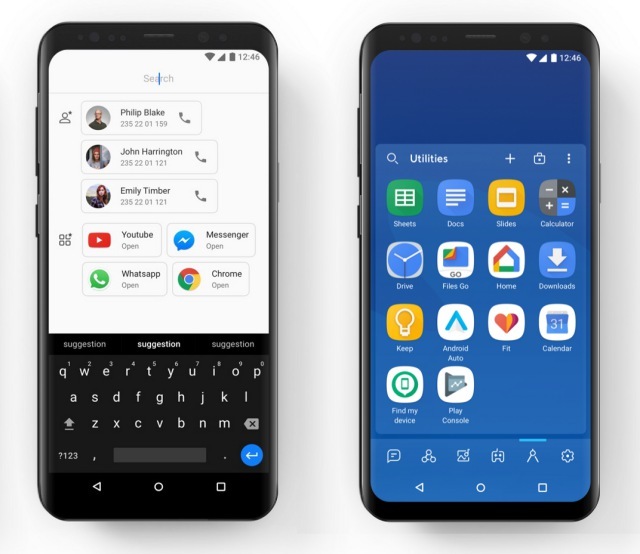 Taking cues from Google Pixel Launcher, as you can see, Smart Launcher has moved its search bar to the bottom and integrated it to work in conjunction with all other apps. It has been redesigned to make it more useful and handy for your day-to-day use. Your app drawer, on the other hand, is now a left swipe away. It still categorizes your apps but you can disable it from the settings. 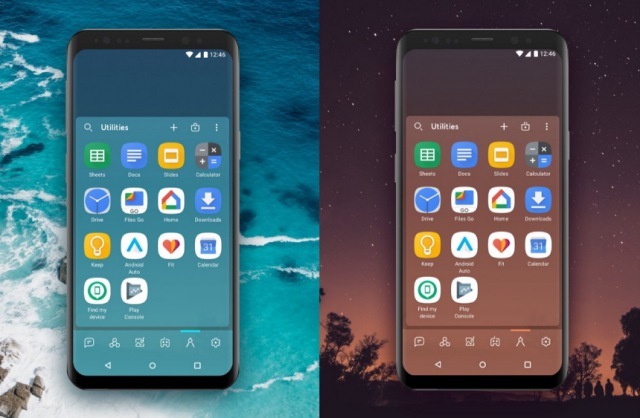 The preference window for Smart Launcher has been redesigned and it looks like Samsung Experience UI, which bring along a ton of new features to the table including the ability to share screenshots, create backup images of your homescreen settings. The developer team has also integrated a plugin to better handle notifications and freeform widget support which allows you to resize them without a grid. We focused our attention on some key aspects to better address the future trends. These include modern and Material Design elements and I’m excited to try it out – or even make a switch to it if it impresses me. You too can give it a whirl; just enroll in the beta for the app and update the same from the Play Store. If you’re an existing user of Smart Launcher 3 (free or Pro variant), you’ll automatically be updated to the new version. The stable version of the app will be released on March 5. So, are you hyped to try out this launcher? Let us know in the comments below.